Amazon and Porsche have launched international pitches, GoCompare and L'Oréal are considering their UK media requirements, while some reviews are being held back for 2019. Amazon Prime Video is seeking an agency for a brief covering France, Italy and Spain. Droga5 London, Fold7 and MullenLowe are among the shops vying for the business. Tissue meetings were held last week. Droga5 continues to work with the brand in the UK and Germany after creating the "Great shows stay with you" campaign. Slater & Gordon pitches are taking place this week in London and Manchester. AAR is handling the "comprehensive marketing review" for the law firm. New-business leaders, take note: sources have told Campaign that most brands that want to launch agency reviews are now expected to wait until the New Year. Marketers have apparently been reluctant to begin a pitch process this side of Christmas for fear that agencies will turn them down. An encouraging sign. GoCompare.com is kicking off a review of its UK media buying business. Carat is the incumbent after winning the account from MEC in 2011. Porsche, the luxury car brand, has launched a global review of its advertising requirements as it looks to appoint a single agency to take charge of its global brand. There is no incumbent and The Observatory International is managing the review. L’Oréal has kicked off a review of its UK and Ireland media account, putting WPP's Wavemaker on alert. Volkswagen has completed its agency review and reduced its global network from about 40 agency partners to three creative leads: WPP in North America, Omnicom in Europe and South America and Cheil in China. VW has retained Omnicom’s Adam & Eve/DDB in the UK. Avon has appointed Spark Foundry to handle its global online and offline media planning and buying after a competitive pitch. The beauty brand has consolidated its spend into the Publicis Media agency, which previously shared duties with WPP's Group M.
Experian, the data company, is set to award its CRM business to Lida after a competitive pitch that also involved Havas Helia Cirencester, Proximity and TMW Unlimited. The work was previously handled by a number of agencies. 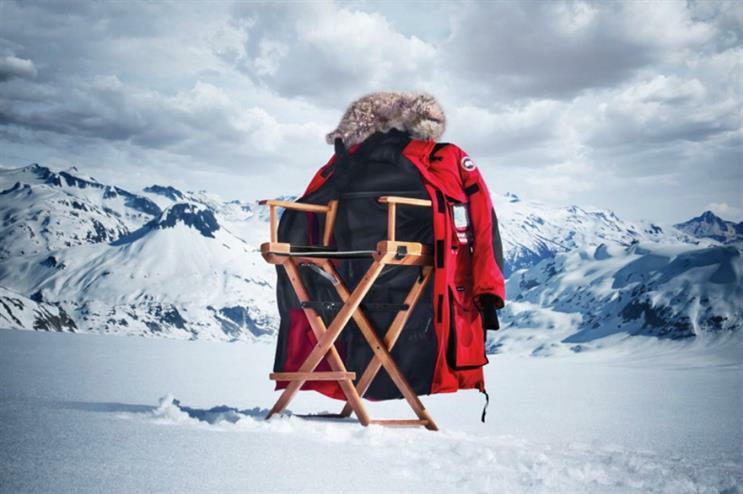 Canada Goose, the luxury outerwear label, has hired Droga5 London with a brief to create initiative-led campaigns. The incumbent was Los Angeles-based Creative Artists Agency, while Canada Goose also uses R/GA for digital work and Spring Studios for retail activity. Unicef UK has chosen Red Bee to deliver a strategic and creative repositioning of the Soccer Aid scheme. Red Bee won the brief after a four-way pitch and will now rebrand and develop a creative proposition for Soccer Aid, which culminates in an annual celebrity football match that is broadcast live on ITV and STV. Wax On previously held the business. Warner Edwards has hired Pablo as its first ad agency after a pitch. The gin brand has tasked the shop with communicating its rural provenance and flavour innovation. National Employment Savings Trust, the workplace pension scheme set up by the government, has appointed TMW Unlimited as its lead digital and content agency after a competitive pitch. There is no incumbent. To submit an account win for the New-business rankings, please email campaignnewbiz@haymarket.com. For a submission to be included in the rankings it must include proof of the annual UK above-the-line media billings and details of the incumbent agency.